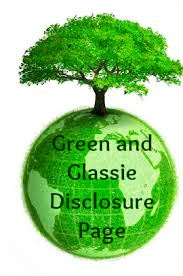 Green and Glassie: Barking Wednesday ~ Spading or neutering - Why is it so important? 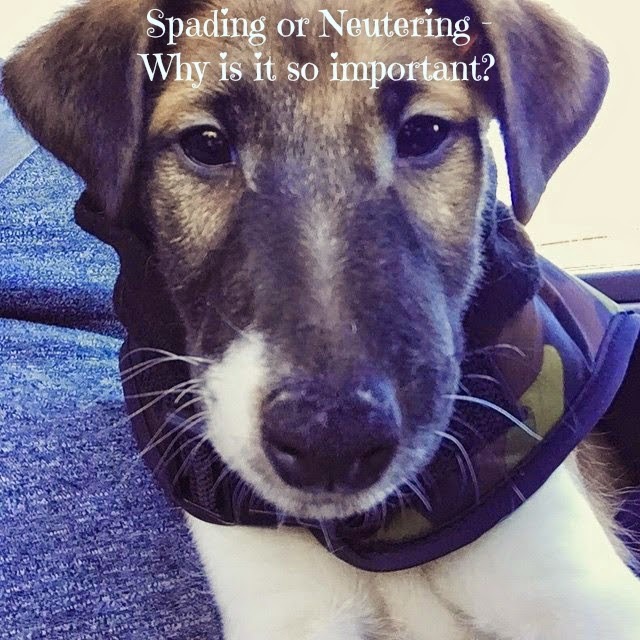 Barking Wednesday ~ Spading or neutering - Why is it so important? This week on Barking Wednesday I want to share why spaying and neutering are so important to your dog. We already know that we will have Diesel neutered. We will never breed Diesel and have no plans on raising puppies. We plan to have Diesel neutered when he is 6 months old. Kingers was neutered and he was the best behaved dog. He never had the urge to seek out a female during her mating time. Bo our Chocolate Lab before King was not neutered - we used him as a stub once and oh my gosh! I swear Bo would go outside - hold up his nose - smell and he was gone! Bo's behavior is why we had Kingers neutered. I wanted to share with everyone some important reasons why we are having Diesel neutered. The above list of reasons were taken from the ASPCA.org website. Make sure to check in your area - you might be able to get some financial help with the cost of neutering or spaying your dog. Email info@petsmartcharities.org for a listing of locations in your area that are offering assistance with spaying and neutering cost. Do you believe in spaying and neutering pets? We're all for it! We neutered our Husky when he was little. We have friends with dogs that aren't neutered and they just get super rowdy and aggressive! Our dog is adopted, but we made sure he was neutered before we got him. It IS important. This is very important to keep unwanted puppies and kittens away. Both out cats are fixed. Yes it is very important. Just not for the fact of too many cats or dogs running around, but for their health. My moms dog was sick awhile back and they said it was because she had not be spade. That in the long run it is better for them to have it!! This is an important topic and I am a big believer in this. It's so important for people to spay or neuter their pets. Too many unwanted pets are euthanized each year. it is so important, we let our dog go thru one heat per our breeder, boy that was a pain. Good thing most male dogs around were already taken care of. I 100% agree. Dogs should be fixed. Ours will will be once she reaches the proper age. I think this is important to control the amount of strays in any community. When we adopted a puppy, it had already been spayed. I can see why people like to do this. I totally agree with your reasons! While I’m not sure about the health benefits, it’s so important to control the pet population because there are so many stray dogs and cats out on the streets and in shelters. I think this is very important. Healthier is good and as someone who has strays dumped a lot. I appreciate it being done. I am all for spaying or neutering. If you are not a legit breeder then please do the animals a favor! Definitely a touchy subject however, there are so many animals without homes. Breaks my heart to see them all at the animal shelter. YES!! All of our pets have been. So important to control the over population. It was interesting to see all these reasons for spaying and neutering pets. It is important not to breed unwanted animals that one will not take care for later. I am all for spaying or neutering your pets unless you're planning on breeding. Our Shih-Tzu wasn't fixed because we were planning on studding him out but unfortunately someone stole him but one thing we always do is chip our pets so hoping we'll find him one day. This is so critical for animals. I am a huge advocate to getting animals fixed. It is something that every responsible pet owner does.